Running at the head-end after the DVB multiplexer, the SmartGate is ENENSYS DVB-T virtual broadcast gateway enabling multiplex transmission of DVB-T over SFN networks. The SmartGate addresses customers needs for full software environment. Future-proof and based on standard architecture, the SmartGate is fully independent from specific hardware. The SmartGate receives an MPEG-2 TS over IP, inserts MIP packet to synchronize all the DVB-T transmitters to broadcast the DVB-T multiplex over Single Frequency Networks. 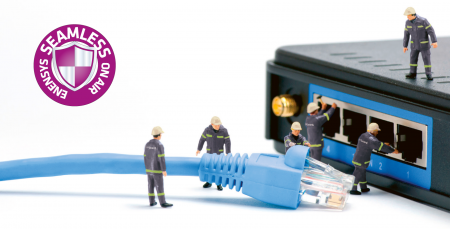 It performs bit rate adaptation and PCR restamping to match with DVB-T transmission parameters. It outputs the new MPEG-2 TS with MIP packet over IP. 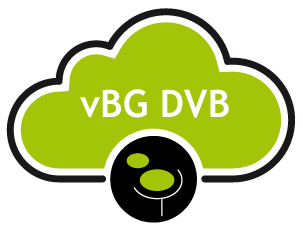 The SmartGate provides synchronization (timestamp) information to all DVB-T transmitters to generate the same data at the very same time over the same frequency. It can also control individually each DVB-T transmitter to set remotely frequency offset or time offset information. The SmartGate runs in a pure software architecture independent from the Hardware. The virtual appliance which can be installed on standard servers allows high density and scability. ENENSYS' patented technology, vGuard, is the unique 1+1 or N+1 redundancy mechanism that guarantees seamless switch-over between redundant vBG DVB software to avoid any TV black-out. The vGuard applies with 1+1 or N+1 vBG DVB applications that operate in 1+1 or N+1 redundancy with IPGuardV2, ENENSYS' seamless IP switch.